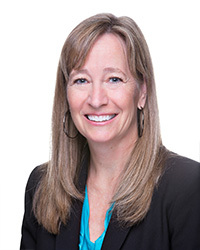 Kayla Smith received her Bachelor of Science degree in Biopsychology from the University of California, Santa Barbara in 1990, Masters of Science in Physical Therapy degree from Boston University in 1993, and her Doctorate of Science in Physical Therapy degree from Andrews University in 2008. Kayla completed her manual therapy certification through the North American Institute on Manual Therapy in 2004. She completed her certification in manipulative therapy in 2005, and later that year obtained board certification from the American Board of Physical Therapy Specialties in orthopaedics. Kayla is a member of the APTA, AAOMPT, and COMPTSIG. Dr. Smith has worked as an orthopaedic physical therapist in the San Diego area for the past 20 years and is currently practicing part-time at an out-patient orthopaedic clinic with Scripps Coastal Medical Center. She is a full-time Assistant professor at the University of St. Augustine, San Marcos campus instructing Therapeutic Exercise II, Musculoskeltal I (Orthopaedics), and Musculoskeletal IV (Spine).